In addition to creating a warm and welcoming environment, we want our patients to feel comfortable with our staff as well. We can answer any questions you have regarding dental implants or any of the other services we offer. Read along and get to know our staff. Don’t hesitate to contact us with any questions you may have or to schedule a consultation with Dr. Altschuler. 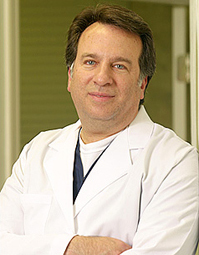 Dr. Altschuler specializes in periodontics and implantology. After receiving degrees from the University of Florida and Tufts University School of Dental Medicine he practiced for two years as a general dentist. Dr. Altschuler then furthered his training by studying periodontics at the University of Alabama at Birmingham. Anita has been with Altschuler Periodontic and Implant Center since its opening in 1994, and is also a member of the American Association of Dental Office Managers. Graduated from Santa Fe College, Karla has been apart of the practice since 2001 and is the implant coordinator and lead assistant. Karla understands all aspects of dental implants and will be happy to answer your questions. Krista is also a graduate of Santa Fe College, and has been with us since 2001. Krista is determined to provide the best service to our patients. Beth is knowledgeable in the fields of insurance coverage and other financial matters, and is also a member of the American Association of Dental Office Managers. Beth enjoys helping demystify the financial side of our office for patients. Lisa graduated from Santa Fe College, and enjoys attending to her patients with an open, caring attitude. A graduate of Santa Fe College, Sharelis is bilingual and experienced in all angels of our office and patient care during treatments. Interested in Dental Implants? Contact Us! If you’re missing one or more teeth, we highly recommend dental implants through Altschuler Periodontic and Implant Center. With our experienced staff and Dr. Altschuler’s background in successful implant training and application, you can rest assured that your smile is in good hands. Contact us today to schedule a consultation, where Dr. Altschuler can assess your oral health and determine if dental implants are right for you.